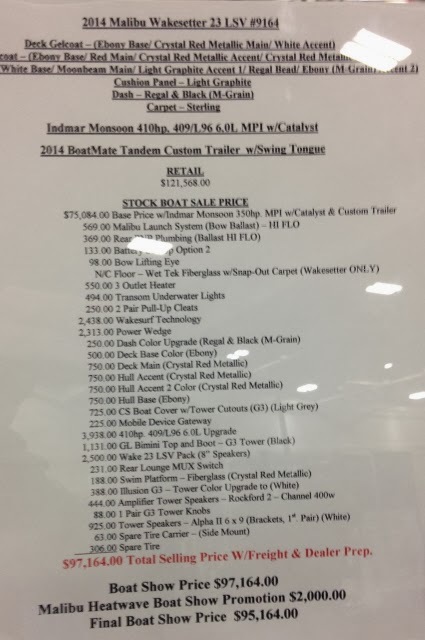 Dyna-Ski Boats: Boat Show in Milwaukee with prices. 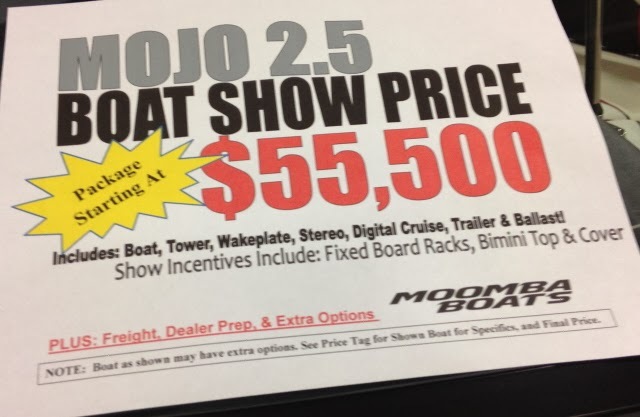 Boat Show in Milwaukee with prices. My boat dealer friend Todd Renn owner of Twin Lakes Marine in Twin Lakes, Wisconsin had a booth at the boat show in Milwaukee. Todd had a Dyna-Ski 17.6 Open Bow on display at the show. So I decided to do a little casual shopping while I was there. 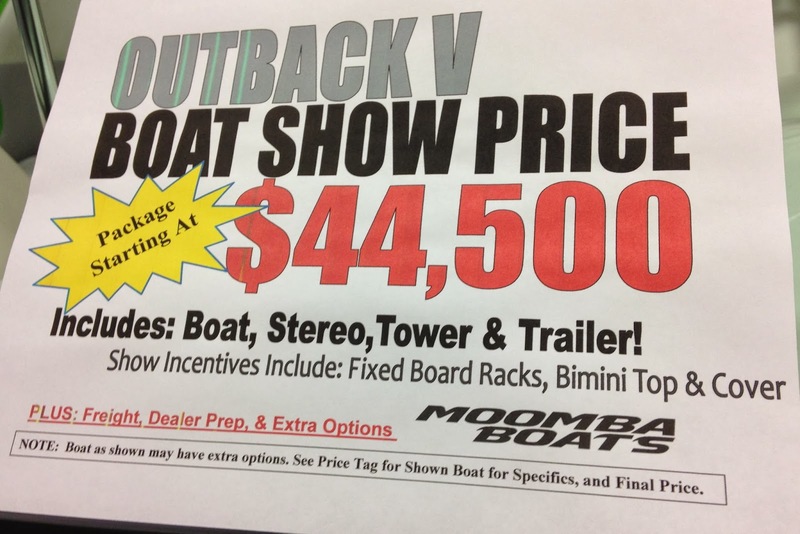 I knew that boats were expensive but I still got some sticker shock to say the least. 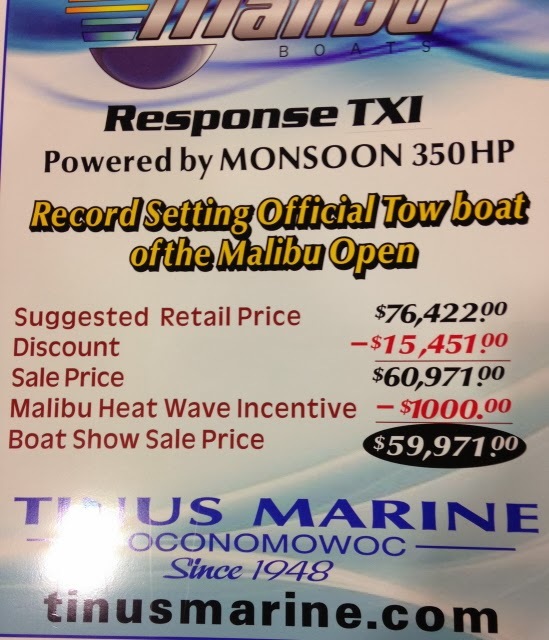 Deck Boat prices and Pontoon Boat prices even caught me off guard also. For just $11,00 more you can step up! Now if you are a more concerned about keeping up with the neighbor's and brand name rather than just price. you could almost buy a 17.6 Dyna-Ski! Dyna-Ski 20' Ski Team Model with three motors! 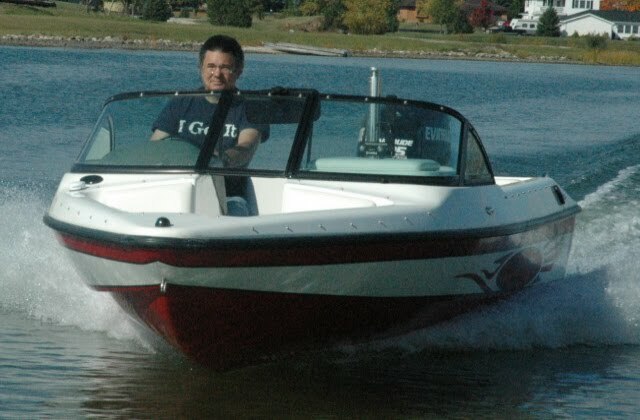 If you are on a tighter budget, want a boat that costs less to operate and insure, goes faster, is easier to dock and back up where you want it, not to mention is easier to haul to/from the lake because it is lighter and will also take up less room in the garage you could buy a Dyna-Ski Outboard Water Ski Boat.